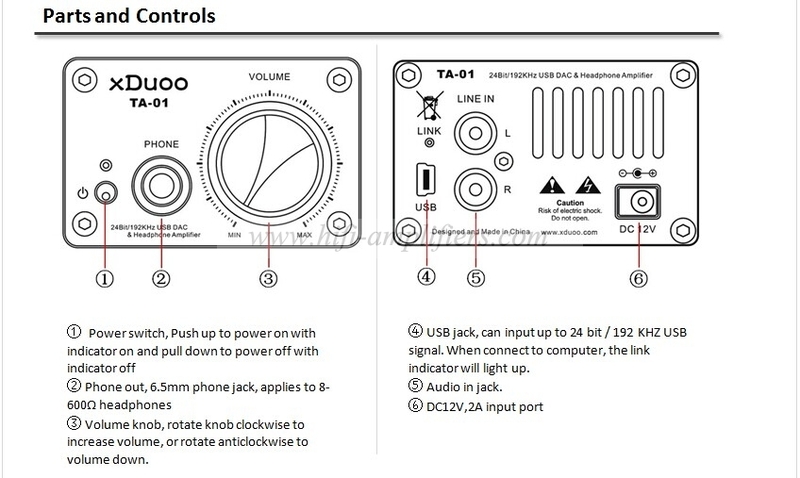 TA-01 is a headphone AMP that consists of USB DAC and tube AMP. 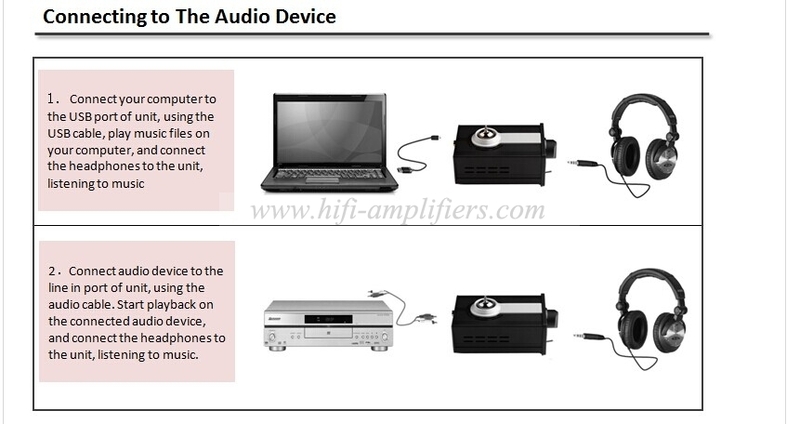 USB accepts up to 24Bit/192KHz high resolution audio signal. 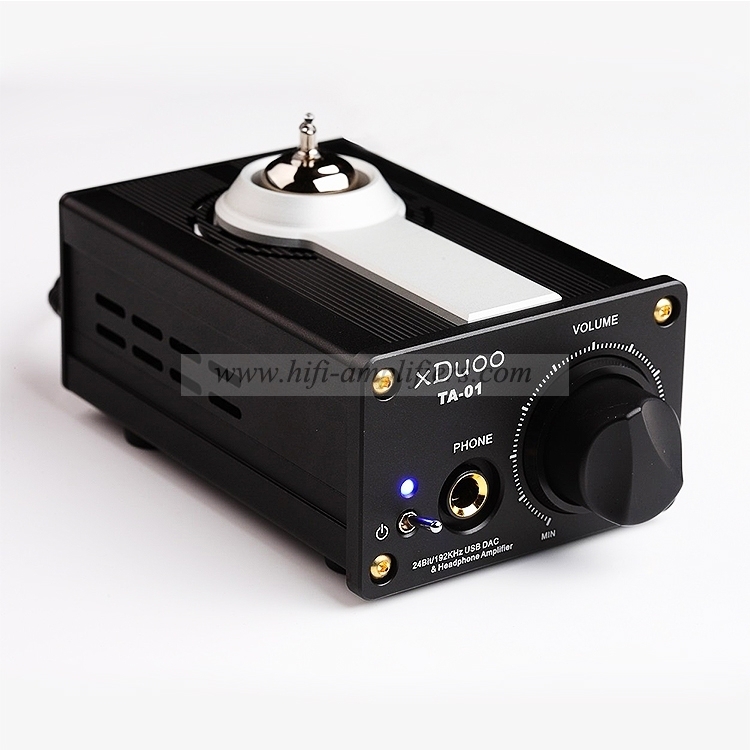 It adopts 12AU7 tube for pre- amp with warm timbre, the post-amp is adopted OP+ transistors for class A buffer, so that it has not only soft nature sound but also not lose sense of speed. Its power supply is DC12V adapter, through professional boost circuit, make sure the tube is worked at its best condition. 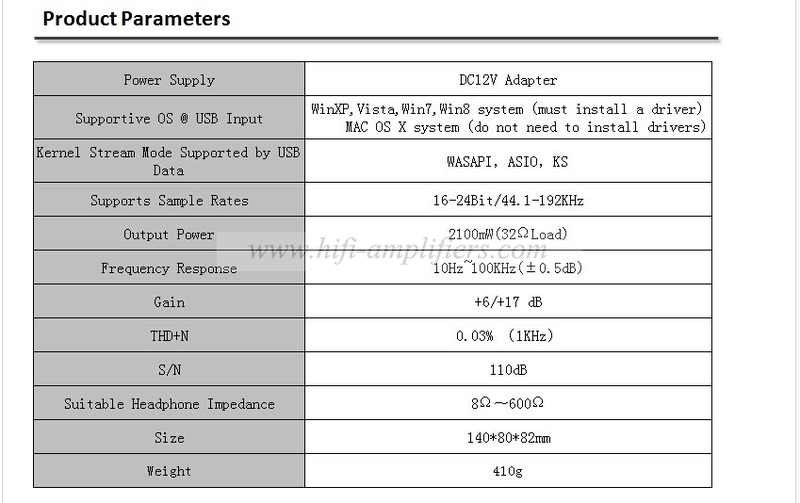 It adopts the professional DAC chip WM8740*2. It built-in mute circuit when turn on amplifier to aviod POP noise and make sure the tube is worked at its best condition. 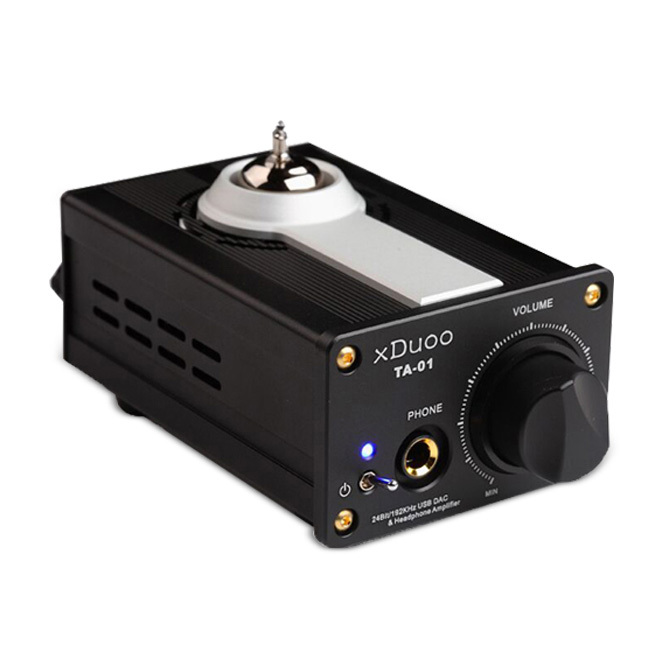 It Built-in tube for pre-amp, transistors for class A buffer. it has not only soft nature sound but also not lose sense of speed. It use 12V DC adapter for power supply, through professional boost circuit, make sure the tube is worked at its best condition. It built-in overvoltage/ overcurrent protection，so that it can be prevented damage to the amplifier if the input voltage/current exceeds the limit value. 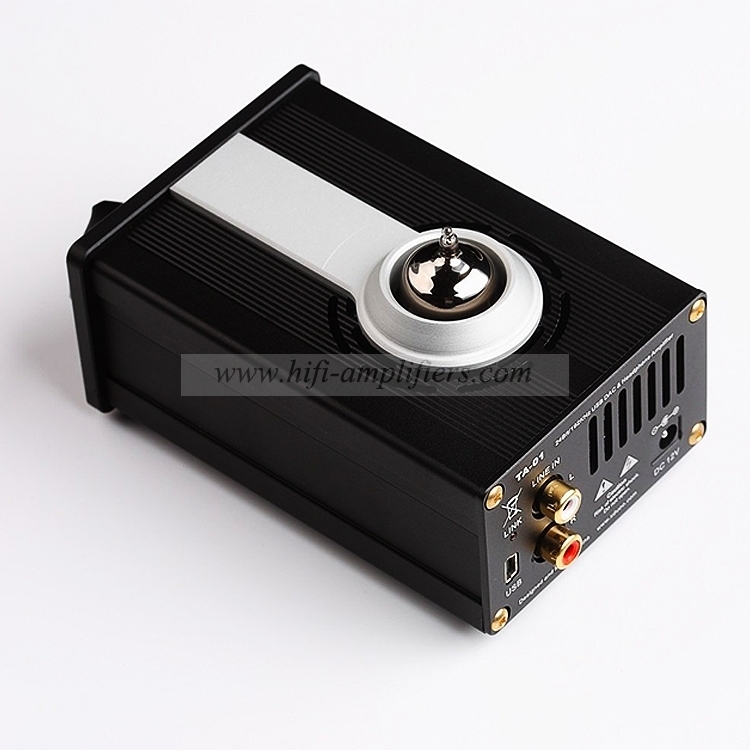 It adopts 3X Clock structure design, ensures the DAC to obtain a first class sound performance. 3 correspondence level clocks are high precision , individually control multiple of 44.1KHz, multiple of 48KHz and USB signal transmission, dedicated for USB asynchronous transmission, and reduced Jitter to undetectable level.